Green Lentils by Arrowhead Mills are easy to add to any dish and packed with health benefits. Green Lentils don't need to be presoaked, so they can be cooked the day you want to use them. However, their convenience doesn't reduce their health benefits, as they're still a great source of protein and fiber among other nutrients. 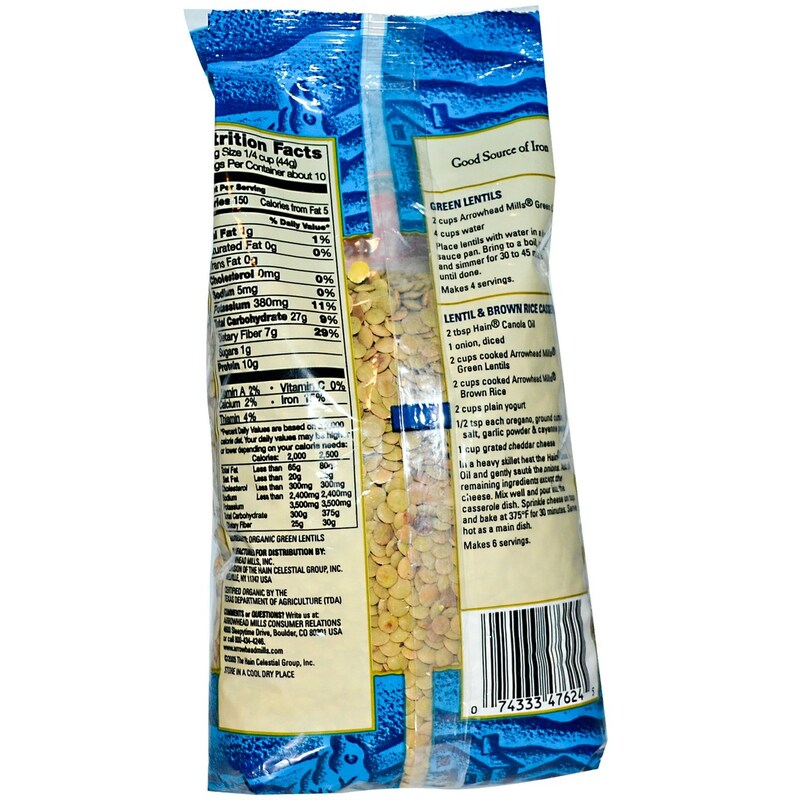 Fiber is shown to reduce cholesterol levels and lower the risk for some forms of . 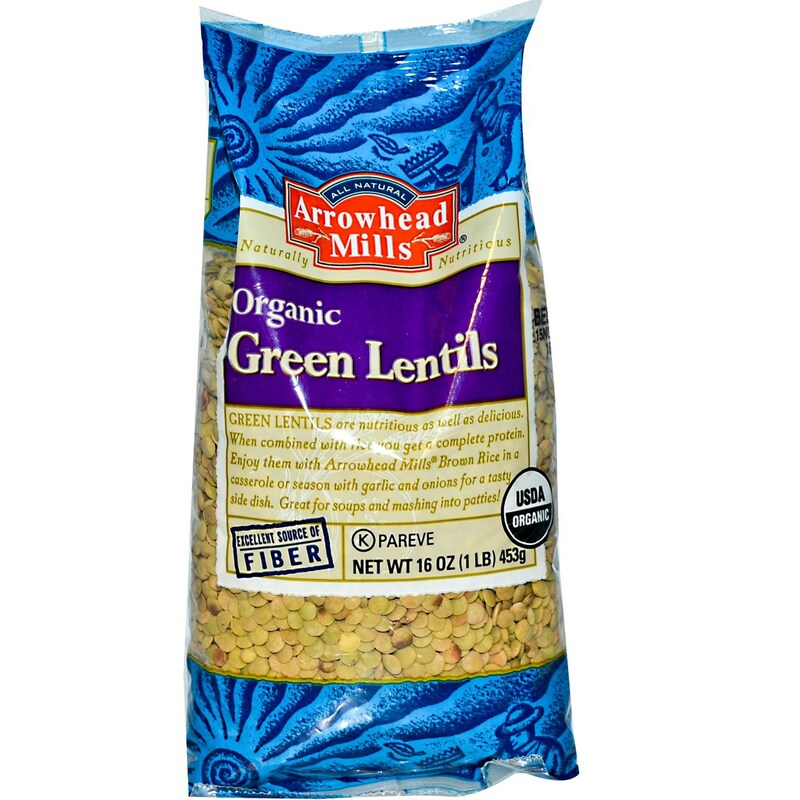 Green Lentils by Arrowhead Mills cook quickly without losing the nutrition value provided by most legumes. Order a bag of these tasty beans today and save! Recommended Use: Cook in three cups of boiling liquid per cup of beans for approximately 30 minutes until beans reach desired tenderness.